If you like big, tasty hits that are consistent throughout your session, you'll love this vape pen. The Cloud Pen 3.0 uses its double coil and bigger size to produce big clouds and feels sturdy in the hand. This vape pen won the Best Vapor Production award from High Times. The Eleven Pen by Vapor Brothers was considered to be rather standard by High Times judges. They did say that it produced potent hits and had great functions, but the pen vape didn't have the best taste and the vapor was a bit harsh. Still, it won Best Hit. At a price that is a bit higher than other wax pens, you might be put off by the Flosstradamus SOURCE orb XL's price tag, but considered the "biggest hitter" by High Times, it’s more than worth it. There are several features and settings that allow complete customization of this vape pen, and its weighted nature lends a solid feel. The Flosstradamus SOURCE orb XL won the Best Hit, Best Vapor Production, and Best Features High Times awards. Receiving the Best Value award from High Times, and while it has a sort of high draw resistance, the vapor production in this vape pen is above average. Vape Pens versus Portable Vaporizers: Is there a difference? a. Simplicity - most good vape pens have very straightforward designs that allow even beginners to use with ease. Often, they will have just a single button that you push to heat any material. b. Portability - the biggest advantage is that it is easy to take with you anywhere you go. Vape pens are pocket sized and lightweight, and the best vaporizer pens can be used for multiple sessions before you need to recharge. a. Dry Herbs - a dry herb vaporizer pen can be used for vaping tobacco, and other herbal blends. b. Wax - a vape pen for dabs can vaporize thick waxes, any type of oily concentrate. c. Oil - an oil vape pen is another name for e-Cigarette which can vaporize essential oils or e juice. - Conduction Method gets material hot by direct contact with the heating element. With one of these pens, you don't have to wait for more than a second or two to start vaping. They are often the more economical option. - Convection Method gets material hot by warming up the air inside of the vape pen and then blowing it through the waxes, herbs, or oils. While these vaporizer pens takes longer to heat up, they can do a better job at completely vaporizing all of your material. Style: Vapor pens come in many colors and styles by many different brands, so you can select one that is visually more appealing to you. Size: While all vape pens are compact, some are longer than others. Bigger models may have longer battery lives, or are able to hold more material, but they can be a little more difficult to carry. Warranty: Any model you choose will have some type of warranty. Longer warranties are usually an indicator of a higher quality vape pens. Price: Different vaporizer pens vary in price, but there are options available to fit every budget, regardless how big or small. 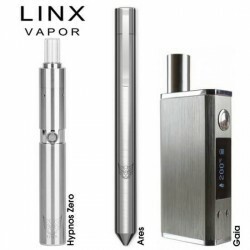 Looking for some help deciding on which vape pen will be the best for your needs? Let one of our experts’ help you decide! We'll be glad to help you focus on what will fit your price range and have the features you desire. Contact us today for help in making your selection.